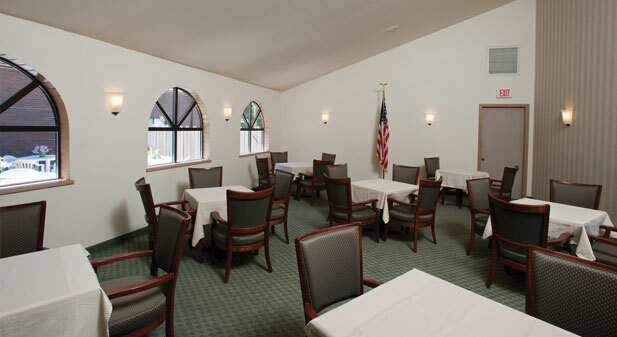 The Wallace Inn takes pride in our outstanding meeting facilities and group amenities. Our track record of satisfaction by our corporate clients and guests speaks to our single-minded commitment to excellence. 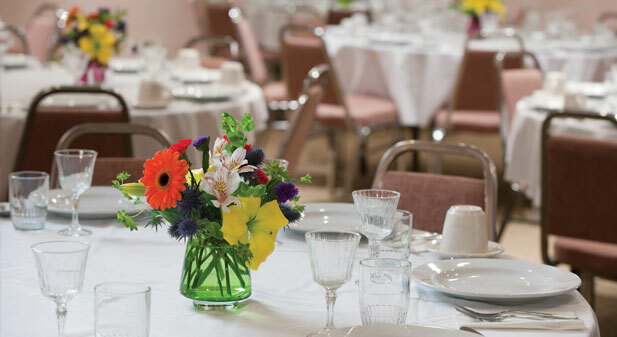 When planning your next conference, seminar, retreat, or social event, look to the Wallace Inn for professionalism, friendly service, exceptional food, and comfortable settings. We provide full banquet and catering services. 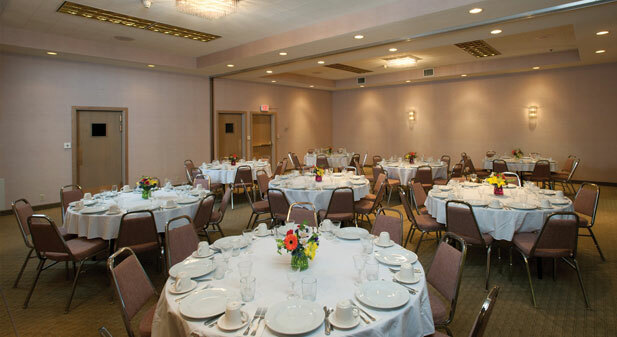 Our facilities are ample and flexible, to meet your needs from small meetings to large gatherings. Audio-visual support is also available including overhead slide projectors, television, VCR, podiums, and easels. Our largest conference space, the well-appointed Gold Room, seats up to 100 people in a theater setup, or 50 in a classroom layout. The Gold Room can also be divided to create two rooms that each seat up to 40 people. The Silver Room is the venue of choice for conducting an important meeting, deposition, or negotiation that requires privacy in a professional setting. The board table comfortably seats 10, with room for 10 additional seats around the perimeter of the room. Molly’s is a charming, semi-private room that seats groups of up to 40. Molly’s is an ideal location for meetings and work-related social gatherings. A comfortable lounge, O’Rourke’s may be booked for private events including full meals. O’Rourke’s serves a wide variety of domestic and micro brewed beers, regional wines, and cocktails. For more space, O’Rourke’s is directly adjacent to Molly’s. The lounge is equipped with a television. For an outdoor event, look no further than the lawn and pool area of the Wallace Inn. This area has hosted barbecues, association receptions and family reunions. The natural setting serves as a lovely backdrop to formal or casual events, accommodating up to 100 guests in the fresh mountain air.